Did you know about one-third of all wasted food in America is fresh produce? While you strive to minimize waste by purchasing only what’s needed, storing produce properly and including fruits and veggies in meals and snacks, sometimes they begin to go bad. 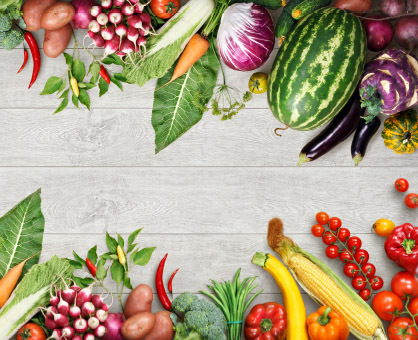 Instead of throwing those nutritious fruits and veggies away, use these tips to transform them from wilted to wonderful. Pack a Peck of PicklesHomemade pickled cucumbers, cauliflower and carrots add a tasty zing to your plate. To make a basic pickling brine, boil one cup white vinegar, two tablespoons kosher salt, two teaspoons sugar, several garlic cloves, up to two tablespoons of spices (such as peppercorns, dill, coriander or mustard seeds) and two cups water. Pour over vegetables in jars, cool, seal and refrigerate. Berries Galore Summer berries spoil fast. To extend their life, wash just before using to prevent mold. To preserve their deep color and flavor, cook them down with a pinch of sugar and a squeeze of lemon, strain out the seeds and freeze in an ice cube tray. Pop out the frozen cubes and store in baggies to use later in smoothies or to add a burst of flavor to a glass of lemonade or sparkling water. “Lettuce” Save Our Greens Lettuces and leafy greens don’t last long. If it’s too late to toss a salad but you don’t want to toss them out, add your greens to a pasta dish, soup or, if you have enough, sauté with some garlic and olive oil. Tasty Tomatoes There are so many ways to save tomatoes on the brink of going bad. Slice and slow-roast tomatoes with a few cloves of garlic and some olive oil. Fill up a pot and cook them down all afternoon until you have a thick, glorious red sauce. Caramelize them into jam with sugar, onions, vinegar and butter. Or simmer them on the stovetop with some stock and vegetables for an easy, healthful soup.